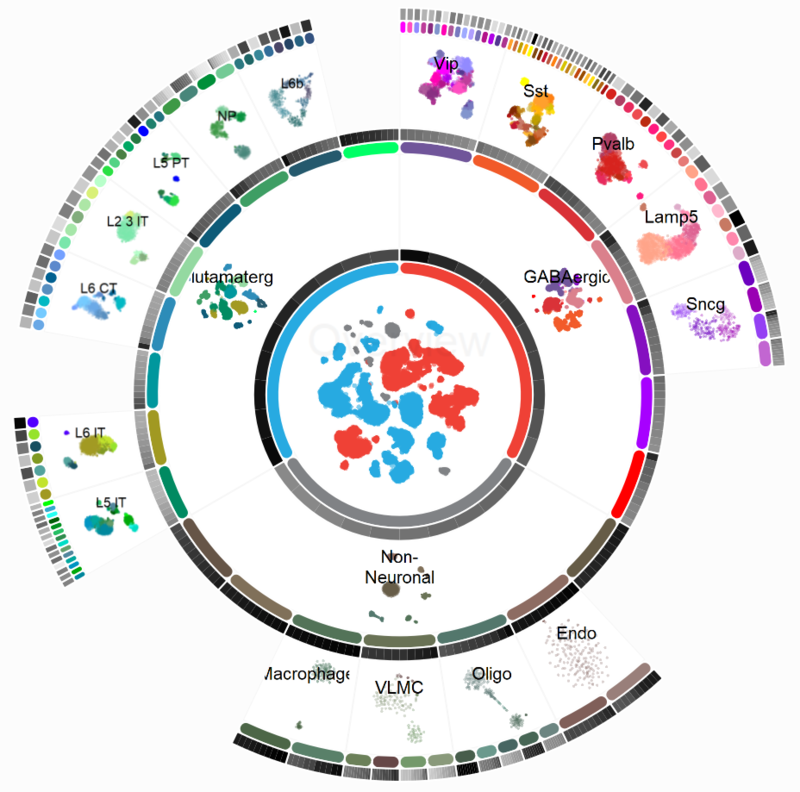 Cytosplore Viewer is an interactive visual analytics system for the exploration of single cell data in the Allen Cell Types Database of the Allen Institute for Brain Science. Cytosplore Viewer is based on Cytosplore: a research project that aims to develop state-of-the-art visualization technologies for interactively analyzing large, complex single-cell datasets. Cytosplore Viewer enables interactive exploration of pre-defined cellular hierarchies, and inspection of transcriptome-wide gene expression in combination with metadata of individual cells. It also enables performing differential analyses between manual selections of cells, or between pre-defined clusters throughout the cellular hierarchy and more. Cytosplore Viewer harbors an interactive tSNE implementation that is an order of magnitude faster and more scalable than most R-based tSNE implementations, reaching interactive speeds on conventional PC hardware.